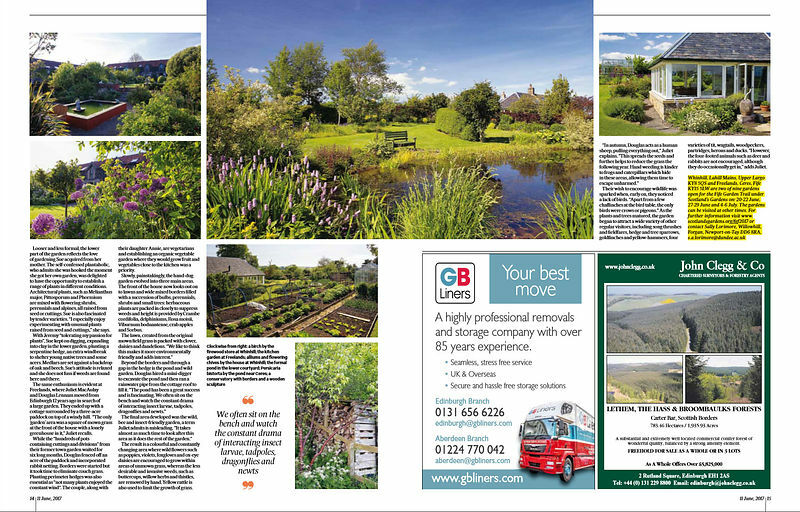 Last week's spread in Scotland on Sunday featuring the Fife Garden Trail. 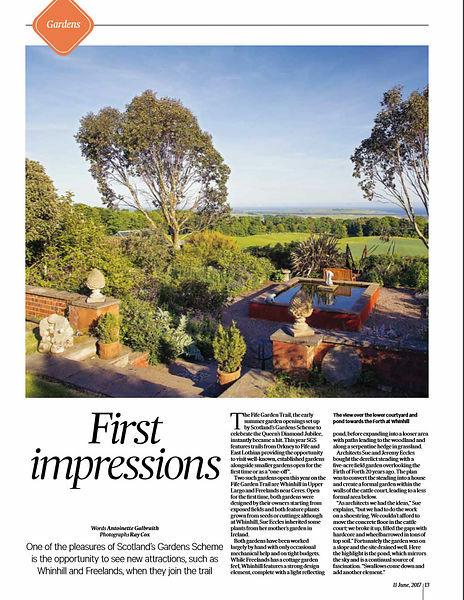 We focused on 2 of the 9 gardens opening under the trail for Scotland's Gardens, Whinhill and Freelands. A great selection of gardens offering plenty of variety, open on several days from 20 June til mid July.